These little sets can sometimes be a hit or a miss. For $9, they’re an impulse buy, and you’re essentially paying for a minifigure and some other parts, but this one I really liked. Out of the very small box you will find a parts bag, instruction booklet, stickersheet with three stickers, and a motorcycle fairing. Being a little set, the parts are few, but worth it! 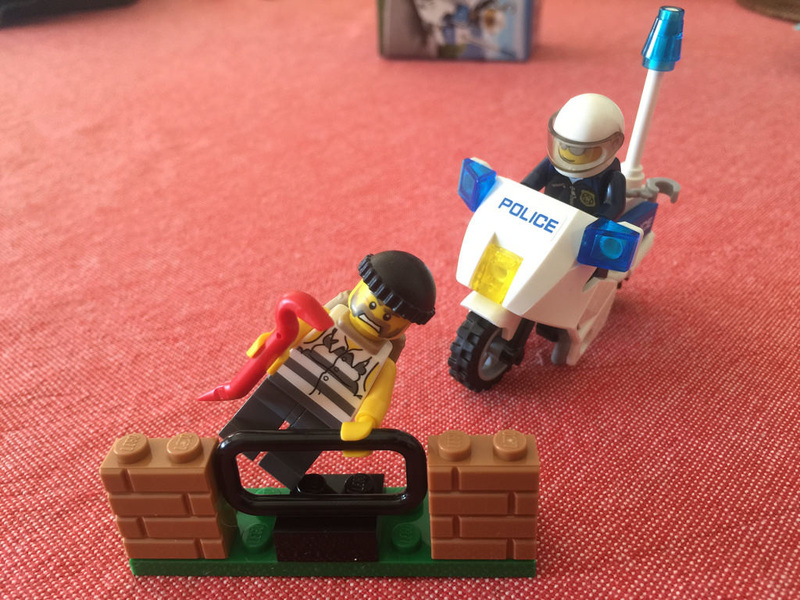 Aside from the motorbike, useful parts include the four 1×2 profile bricks in medium nougat, the red crowbar, two $100 bill tiles and the minifigure sack. 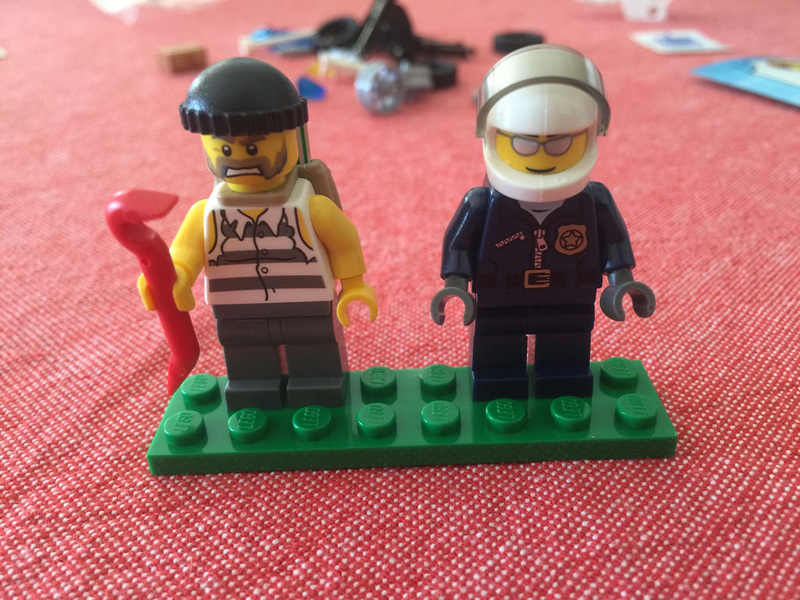 The minifigures are pretty standard, with a motorcycle policeman, and a criminal with jailbird vest and hat. Both minifigures have nice backprints as well. The spares are pretty good in this set. Interestingly enough, there’s a spare motorcycle tyre, as well as a visor (of course), handcuffs and t-bar as well as some transparent cheese blocks in blue and yellow. This set comes together pretty quickly. Not much to say really! 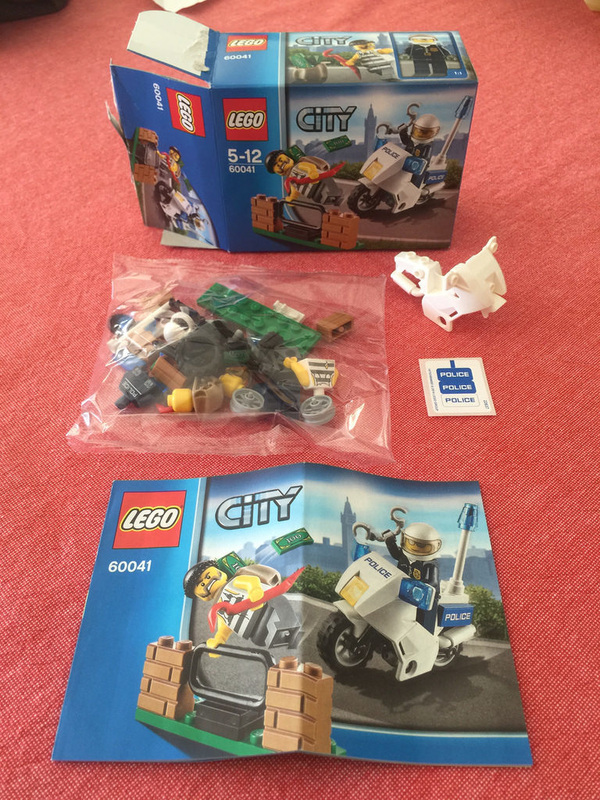 It’s a good set if you want a police motorcycle and a few other minor goodies for your city. That’s really it! 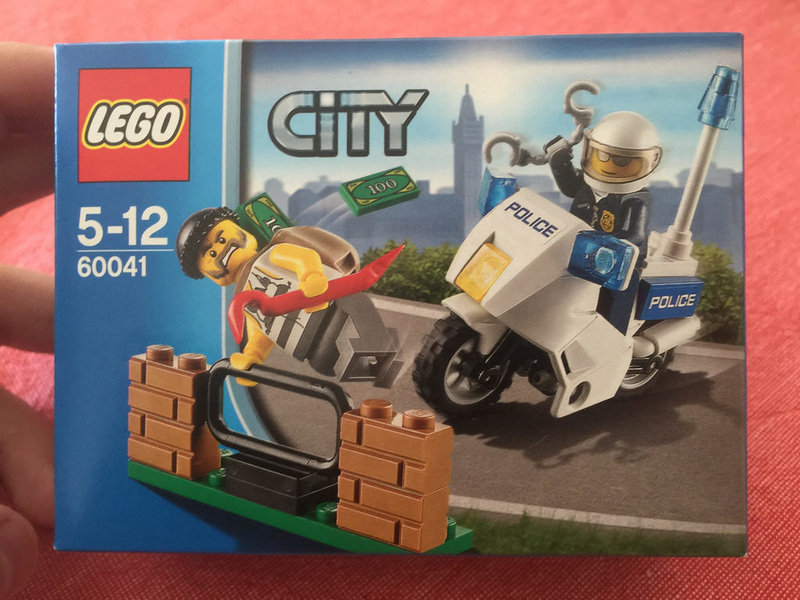 This set will fit in with other police/criminal sets quite well. If the kids are doing this one, they might need a hand with the stickers, as they are quite small, but that’s it. The rest is very simple to put together. 9 out of 10 motorbikes for this one. 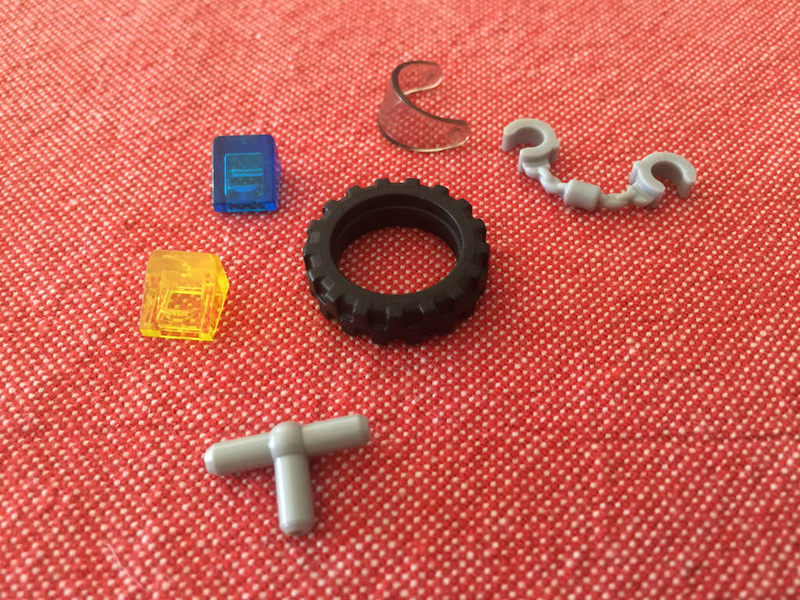 It’s a small set, but some good parts included, as well as two minifigures. Not bad for the price. Next review: 42029: Technic Customised Pick-Up Truck. My first Technic set for a very long time! Agree with the review? Don’t agree? Leave a comment below, and like BricktasticBlog on Facebook!